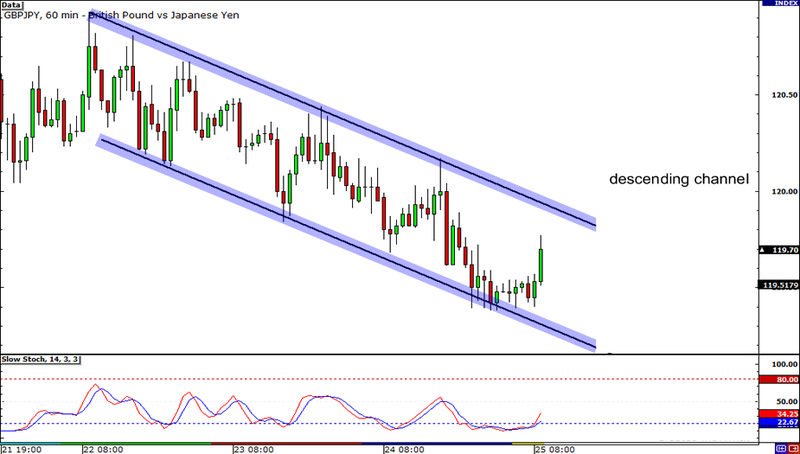 For those lookin’ for a quick day trade, check out this setup on GBP/JPY! Looking at the 1-hour chart, we see that Guppy has been swimming in a descending channel on the charts. If you’re feeling bearish for the pair, keep tabs on the area around 120.00 which lines up nicely with the top of the channel. If resistance there holds, we could see the pair trade lower and test the bottom of the channel around 119.30. However, if it doesn’t, GBP/JPY could rally all the way up to 120.50. Now let’s check out USD/CHF on the 1-hour timeframe sporting what looks like an ascending triangle. If you’ve read the awesome School of Pipsology, you probably know that this is usually taken as a bullish chart pattern. And so, watch out for a strong break above the resistance area around .9200 as this could mean that the pair is on its way up to .9300! But be wary and don’t get too excited buying ’em dollahs just yet! Note that Stochastic is already indicating that the pair is already overbought. If resistance around the area holds, USD/CHF could tumble back down to .9150 or even trade below the rising trendline, all the way down to .9000. 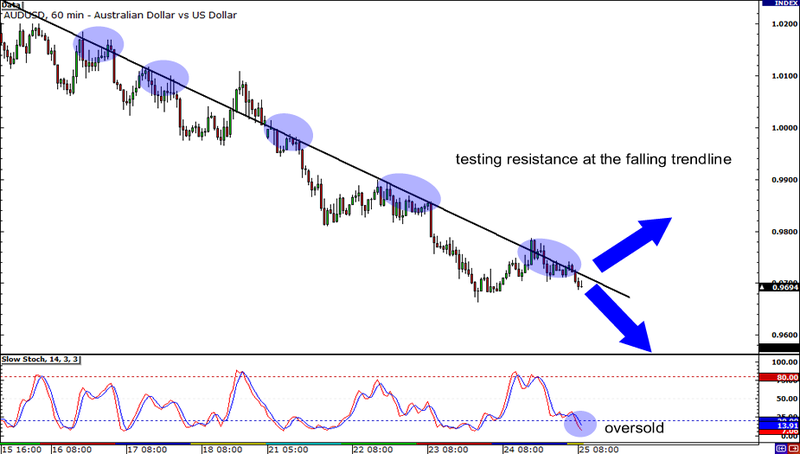 Last but not the least, here’s AUD/USD chillin’ like ice cream fillin’ around the falling trend line. 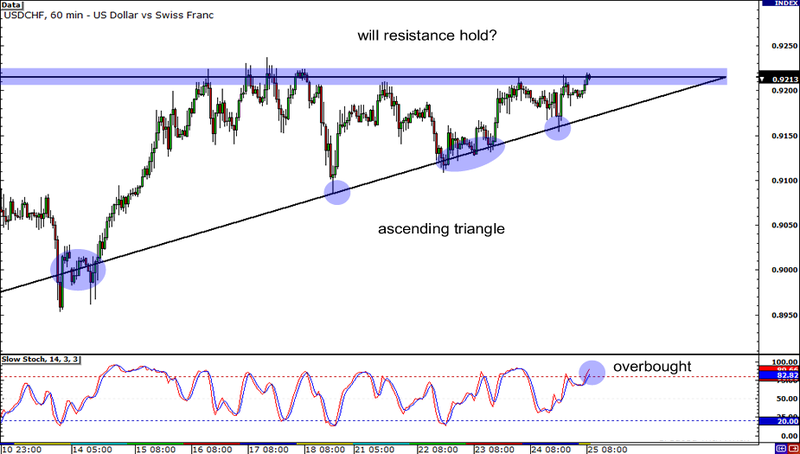 Will resistance hold? Hmmm, looking at Stochastic which is already in the oversold area, it seems like there aren’t enough sellers in the market. I wouldn’t go long on the pair until I see a strong bullish break above the trend line though. Who knows, resistance may still hold and send AUD/USD all the way down to .9600.